This is a local casual game. 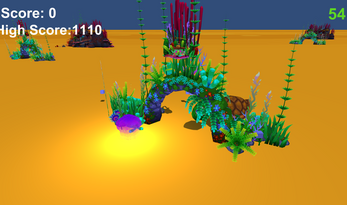 Play as a Jellyfish collecting blue square as food as much as you can. BUT be aware of the sea turtle, which will eat you when close to. Luckily there are shells every 100 points you reached. And you'll get more speed and time left. Think you can be the fast Jellyfish in one minute?! Prove it! Click download and extract all files.